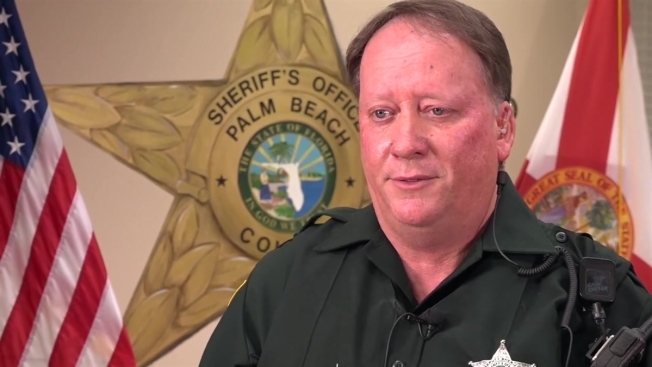 Palm Beach County Sheriff's Deputy James Breslin helped deliver a bay on the side of the road. A deputy in Palm Beach County was in the right place at the right time when a woman delivered her baby in a car on the side of the road. Deputy James Breslin was on his way to work last Friday when a driver who was desperately honking his horn pulled up next to him with his window down. "I roll my window down and he says 'my wife is giving birth, the baby's head is sticking out,'" Breslin said in a video released by the sheriff's office Thursday. Breslin said he radioed in to dispatchers to tell them what was happening and went to help the husband. The dash cam in his patrol car captured what happened next. "I looked at the wife, she was in the throes of giving birth," Breslin said. The baby boy came out almost immediately, as the deputy and the father put their hands out to catch him. "I figured once those shoulders got to the birth canal, the baby's coming," Breslin said. "I reached down with my right hand and the baby came out, like shot out, if I could say that, I caught the baby's head and shoulders, my hand was under his head and the backside of his shoulders and the dad grabbed the baby's body and legs." The baby, Charlie, was healthy and his parents were grateful the deputy was there. "It was the most crazy, beautiful, wonderful experience," Breslin said. "I just feel so lucky to have been a part of this because I've never had such a role in such an amazing event."